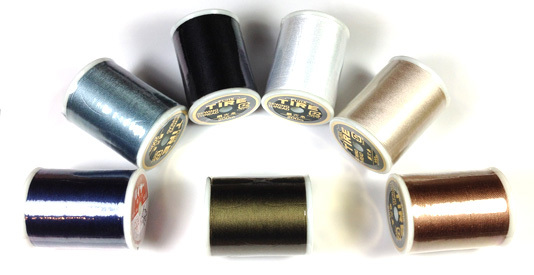 The silk on these spools is Fujix Tire Silk #16 Buttonhole Twist Thread, a 3-ply twisted continuous filament silk thread of superb quality. 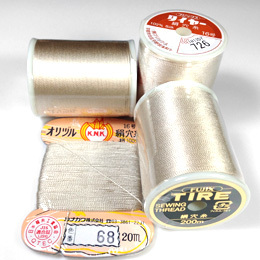 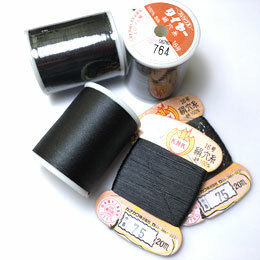 It compares to the Kanagawa 1000 denier silk thread and the Fujix Tire Silk #16 on cards. 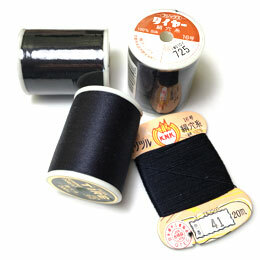 Mainly used for hand embroidery, needlepoint, and hand stitching for quilting. 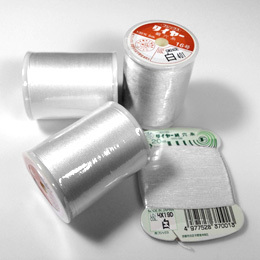 Also great for beading, half-hitching, micro-macrame, cavandoli tapestry knotting, kumihimo and tassels. 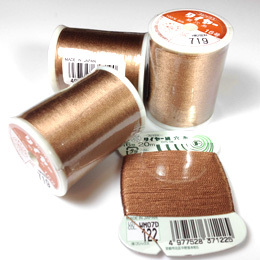 Colorfast with a high sheen. 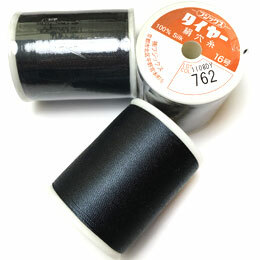 Personal note - These spools are especially designed for tayloring, but they are great for anyone wanting a larger output. 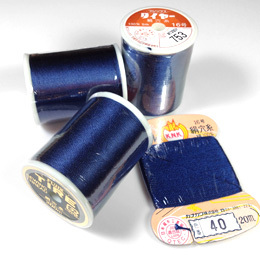 According to the manufacturer it is the exact same thread as the one on the cards, but there are a few differences: No creases on the thread on spools, whereas the one on cards has fold marks. 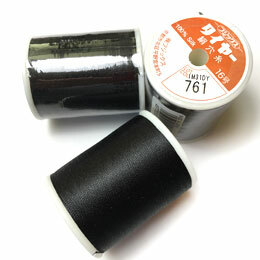 The thread on the spools feels just a tad thinner and smoother than the thread on the cards. 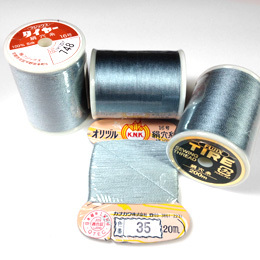 It might be due to the spooling process compressing the thread. 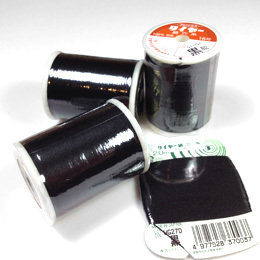 The color palette is a lot smaller than what's available on cards. 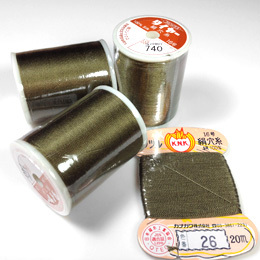 The main advantage is of course the price. 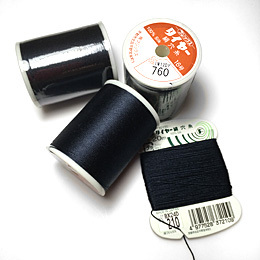 One spool is the equivalent of 10 cards for a fraction of the cost.